Our people are our product. 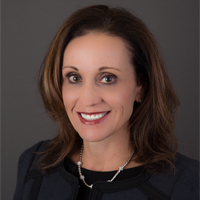 Congratulations to Wendy Sumrell, Gallagher Bassett Vice President of Business Development, on her appointment to the Board of the Alliance of Women in Workers’ Compensation (AWWC). The Alliance was formed in 2016, when 2 women-led organizations merged to support their common goals: to effect positive change in the workers’ compensation industry through networking, support, mentoring and collaboration. "I was then asked to be the first AWWC Ambassador nationally, jumped on the opportunity to establish the first, grass roots Atlanta Chapter.” She has hosted 6 networking and 4 educational events; all are aimed at uniting women and men alike in addressing challenges and opportunities for women in the workers’ compensation industry. Wendy progressed within the organization on a national level, establishing chapters in North Carolina and Tennessee and continues to collaborate with regional ambassadors on chapter colonization, event ideas and sponsorship efforts. Wendy has always had an entrepreneurial spirit, and we are thrilled to see our colleague take on this exciting new industry leadership opportunity.